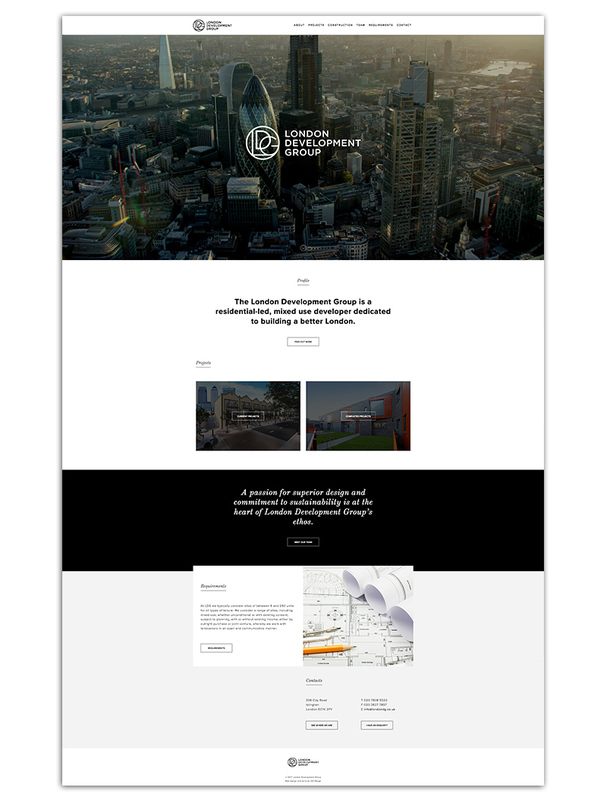 Niche London developer London Development Group recently came to GQ for a brand refresh and new website to reflect the company’s passion for superior, contemporary design. The final logo is refined but distinctive with a clean, modern edge that is carried out through the website. Simple and stylish yet unique, the site focuses on streamlining the user experience, which is mainly achieved through muted tones and by including only essential interactions to generate a faster and smarter UX. This echoes the design themes seen within each of LDG’s projects, which are modern, spacious and thoughtful towards the buyer. The full screen aerial footage and images on the landing page help to engage the user immediately, generating intrigue and ultimately prompting the all important scrolling habits. With the exciting upcoming development in Borough imminent, we look forward to working with the group in the near future.